As we said, the settlor can reserve some rights specifically listed in the terms. These could usually encompass powers to appoint and remove both, trustees and beneficiaries, and participating in investment decisions regarding the trust. A company or a natural person can be the Trustee. 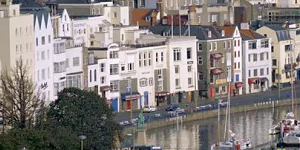 According to Guernsey Trust conditions, a corporate trustee is not necessary, but it is necessary that the settlor makes a wise choice when selecting the trustee. The trustee should be reliable and able to carry out the terms of the trust. The Guernsey trusts require two trustees unless one trustee was just selected. Two or more trustees have to vote unanimously unless otherwise specified in the terms. Letter of wishes is the letter which the settlor sends to the trustees to express how they would like the trustees to carry out the allocation from a discretionary trust. This letter is not legally binding, but in most cases, it is respected. There are numerous trust types, and all of them have their own rules under which they operate. Here’s a quick breakdown of the most common types. A discretionary trust is also known as the offshore trust. Trustees have to be discrete when deciding on the fund allocation. Trustees select the beneficiaries who will be granted a part of the fund. They also determine the amount which is being awarded or allocated. The trustees have the obligation to act in the interest of the beneficiaries. As we said above, the settlor may submit a Letter of Wish to give a proposal, but it is up to the trustees if they want to accept it. There are also charitable and non-charitable trusts. The first one is obviously set up for charity, and they are tax-exempt. Non-charitable trusts are aimed at particular purposes (e.g. company ownership). The rules for this trust fund are a bit tighter by being only valid in written form and if under the supervision an enforcer who will make sure that the trustees do their job. Employee benefit and pension trusts are aimed as an incentive to reward employees. To stimulate employees, the fund covers certain employee benefits, either by the employer or the house of pension funds. As we can see, Guernsey Trusts are convenient for different purposes as long as they are handled properly and under the supervision of trustees which are not supposed to be biased. As long as the trustees are fair and objective, beneficiaries have a real shot of profiting from the trust allocations.